Founded in 1997, neoverve is a specialized e-commerce services provider that offers custom web design, web development, search engine marketing and optimization, and systems integration to small and medium online businesses. In addition to providing e-commerce expertise, what sets neoverve apart from its competitors is its focus on building strong relationships with its clients by offering superior technology solutions and high-quality customer service. Since neoverve began offering GeoTrust SSL Certificates, the firm’s clients have been able to secure web-based transactions and establish trust with their customers, helping many clients improve sales dramatically. 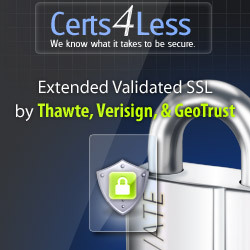 “The moment we install GeoTrust SSL Certificates and place the trust seal on our merchants’ sites, they see remarkable sales increases,” Davey says.